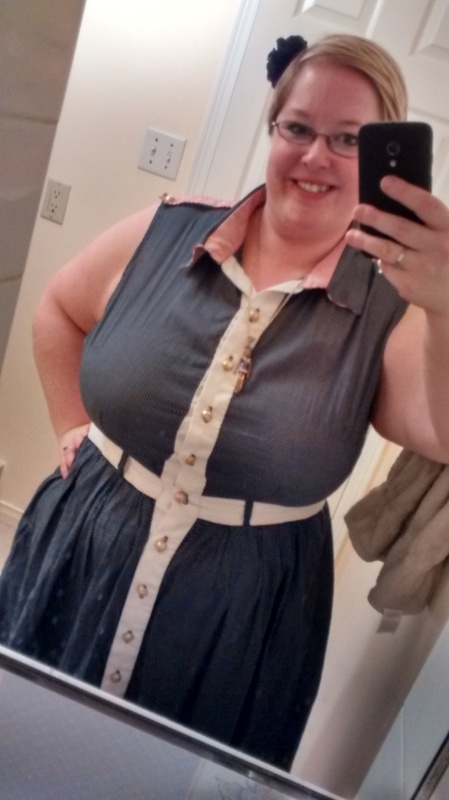 I’m rounding up the last of my MMM’15 outfits. You can see my other outfits in the other round up post. 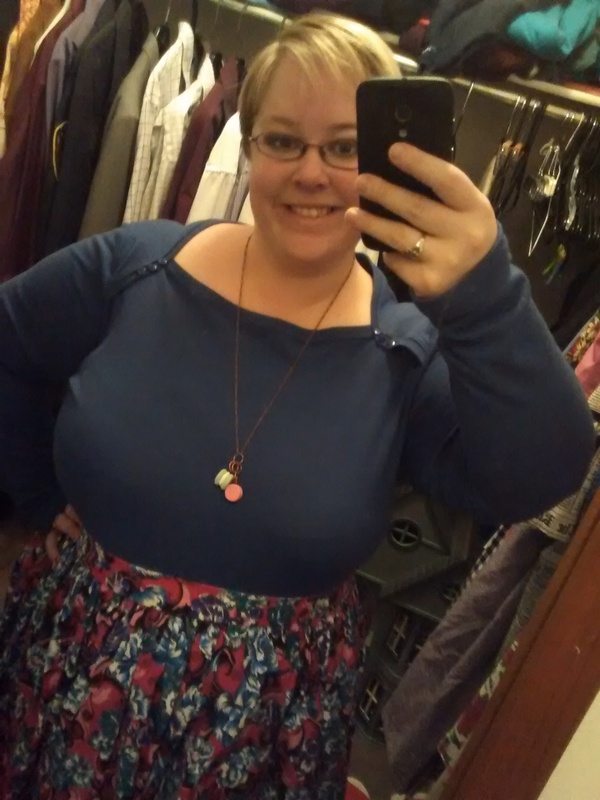 I wore a me-made necklace and my blue floral dirndl skirt. Including one for a friend of mine. 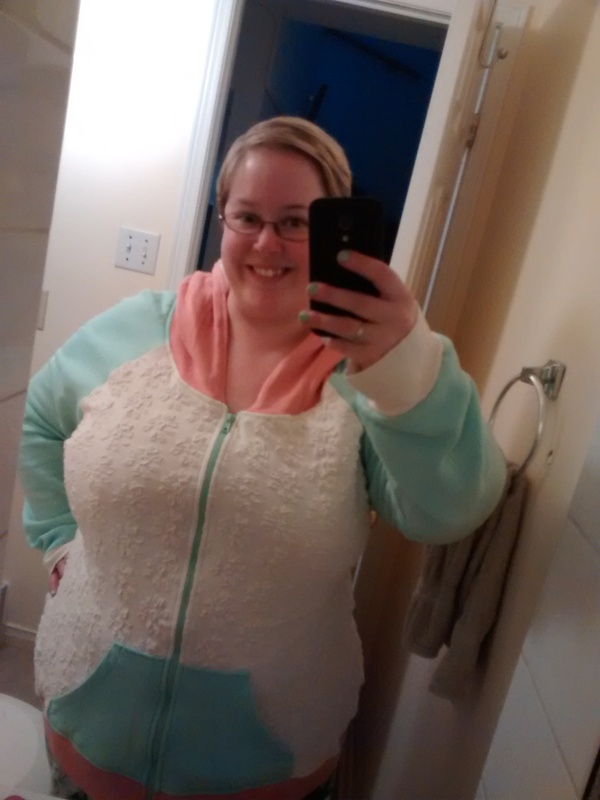 A sew-at-home holiday so I wore my Hello Kitty hoodie. 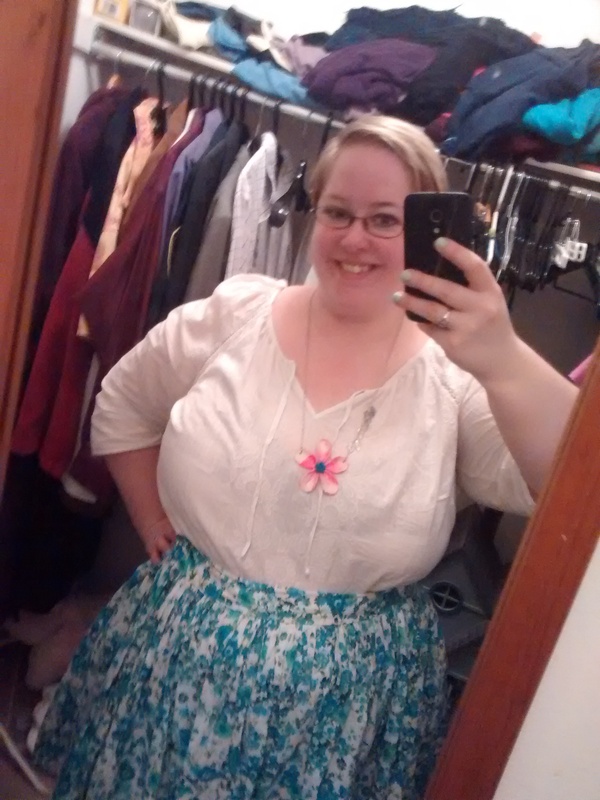 My new Bronte top and my pink floral dirndl skirt with a me-made macaron necklace. Another Bronte top with my red floral dirndl skirt. 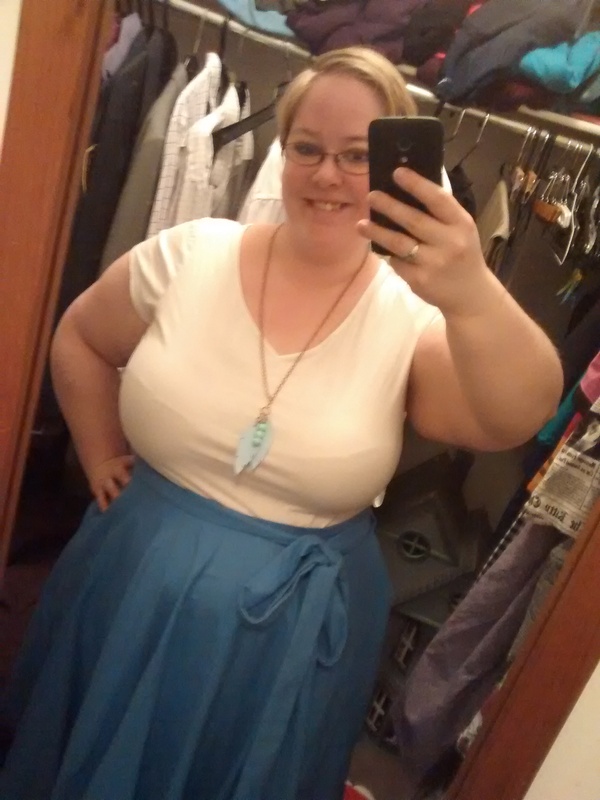 My blue wrap skirt with a me-made necklace. My Kitty Chronicle M6696 dress. 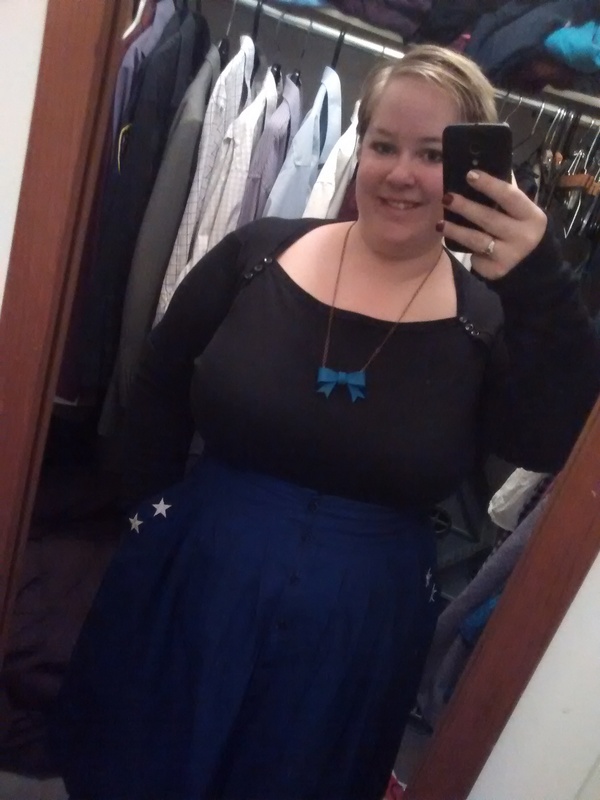 Black Bronte top with blue M6696 skirt and me-made bow necklace. 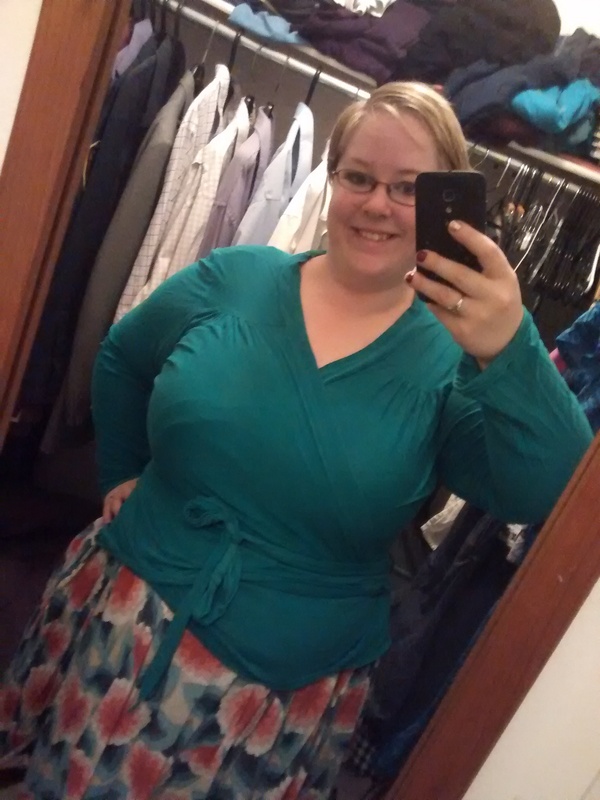 My Gillian wrap top with rtw dress. RTW top with plaid dirndl skirt. 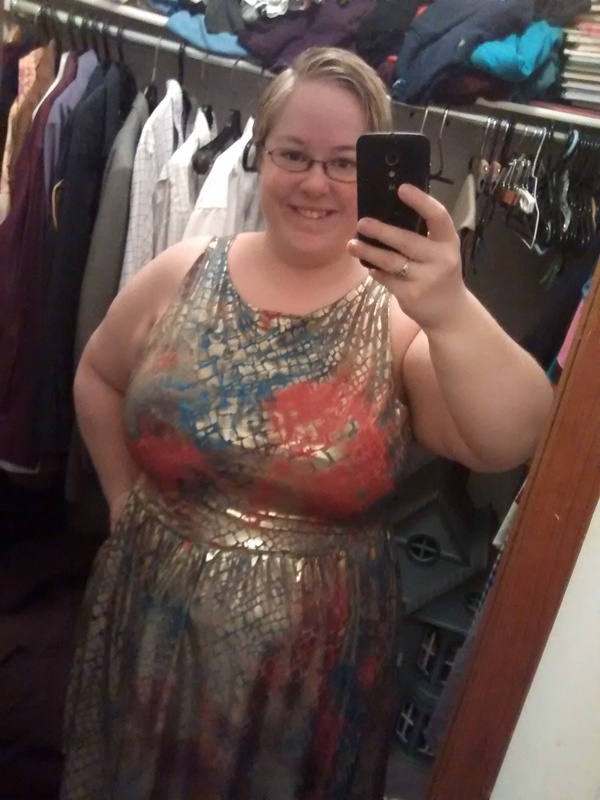 A new dress which I will talk about in a future post! 😀 I wore this to our stag and doe and had tons of fun! 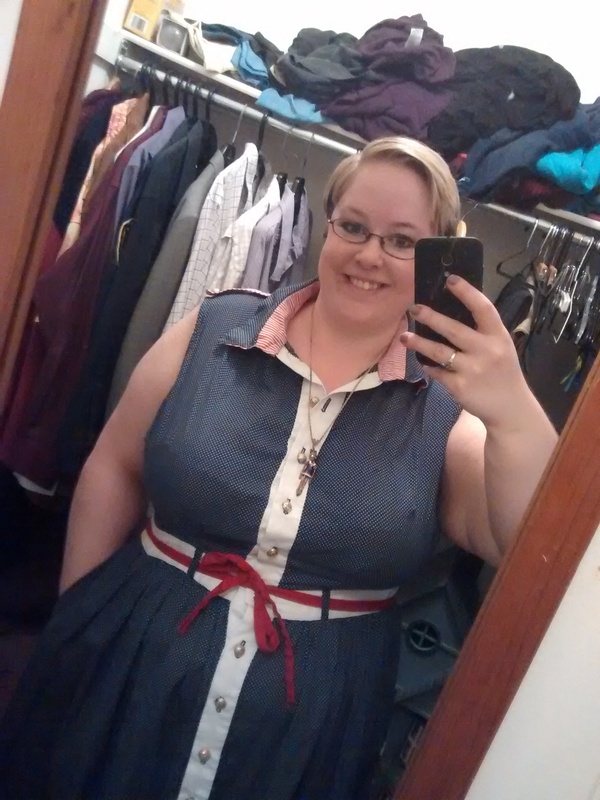 Nautical M6696 again for a lovely anniversary party at my improv home, Social Capital theatre. 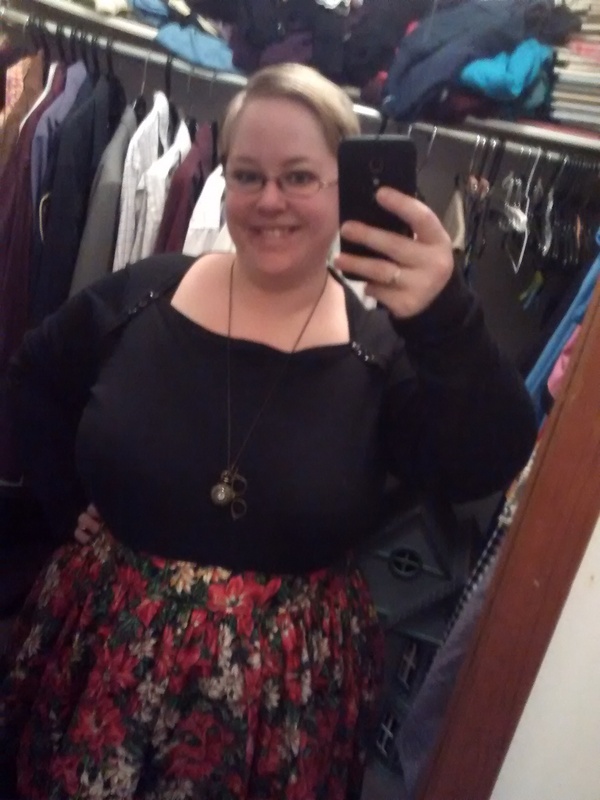 It was a chilly and rainy day so I wore my Parisian top with my black Pavlova skirt. 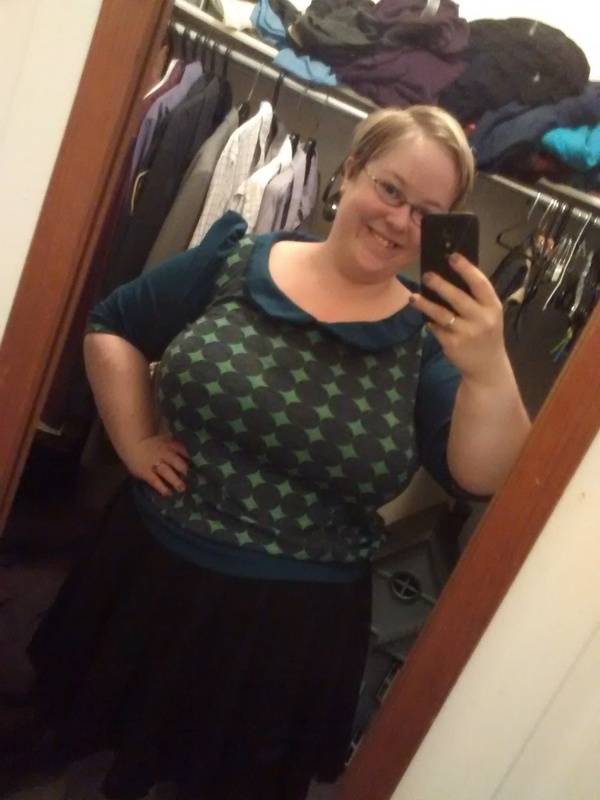 I still need more me-made cardigans, but I was pleased to learn that I need a lot more dresses. Dresses are a staple in my wardrobe. 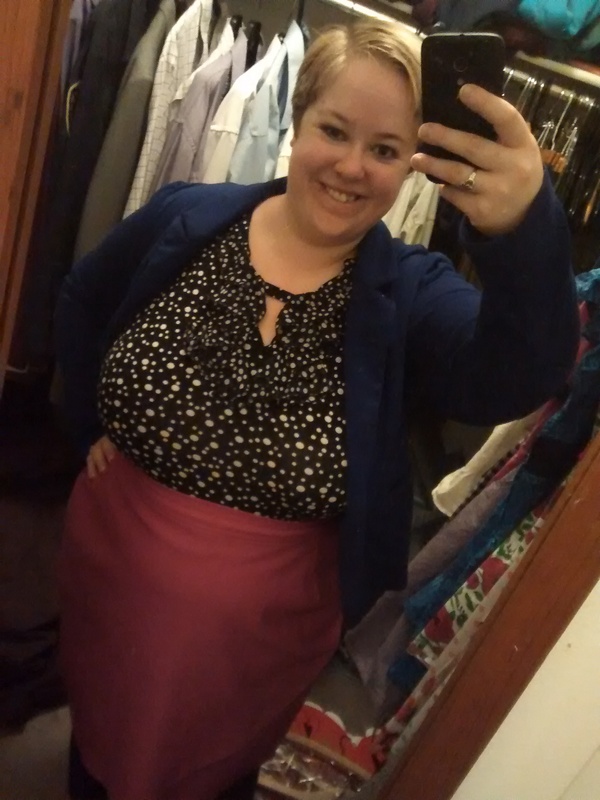 I’m probably okay with skirts for now, but I will definitely be adding some skirts and leggings to my fall sewing plans. I find that I wear skirts on cooler days. So how did I do on my pledge? 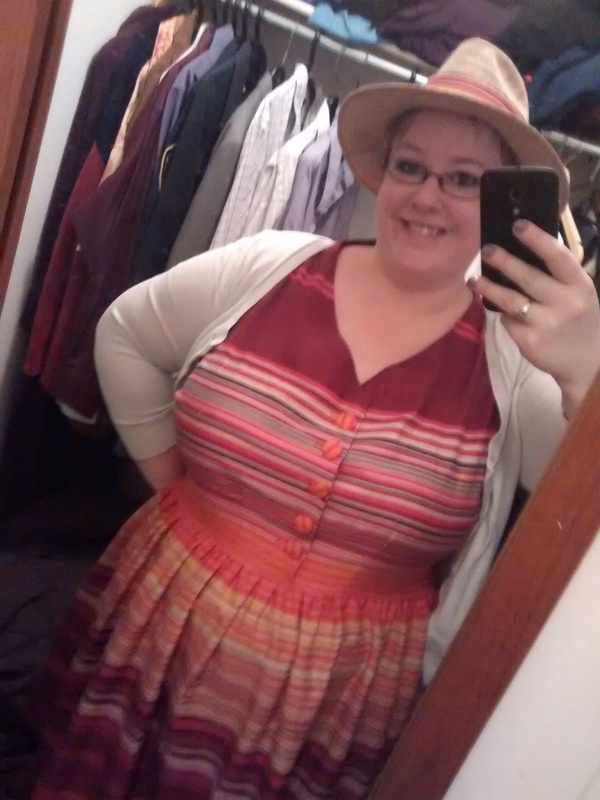 Well, I wore at least one me-made garment every day of May and I got two dresses finished. The lingerie parts are going to be this month plus one dress for myself for the Monthly Stitches’ Indie Pattern Month dresses week. I’m going to try and get that done this week. If not, I will just write the post for the month and not participate in the competition. I’m not going to stress with the wedding coming up and all. After the dress, I’ll be getting on that lingerie sewing and also sewing the sash for my dress and my sister’s dress and her daughter’s flower girl dress. 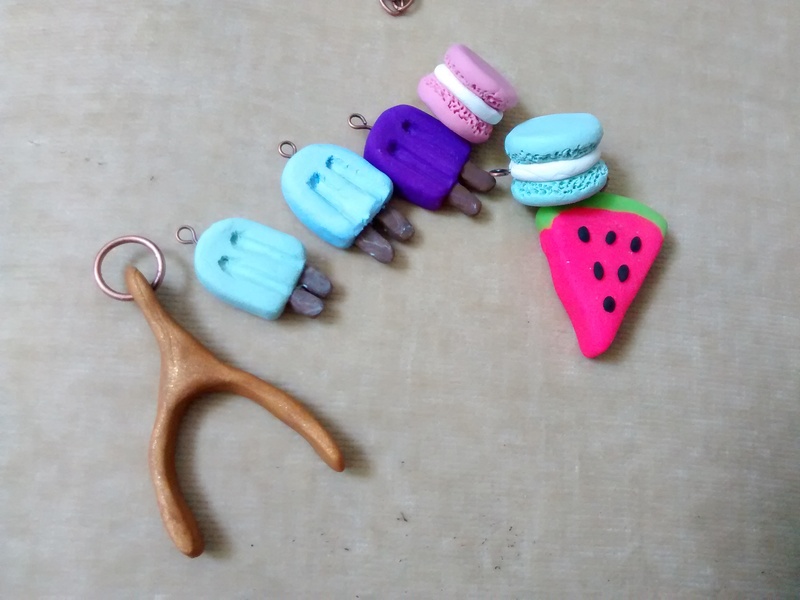 I have a lot to do by the end of June! 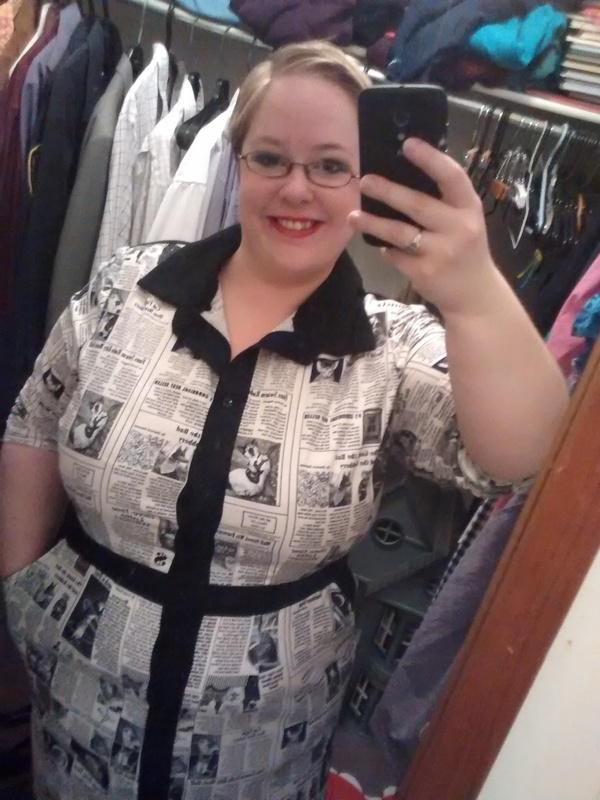 Ummm that kitty newsprint dress is the best thing I’ve seen in my whole life. I’m already looking for some of that fabric for myself! I’m impressed with your diligence for me-made-may, you’ve definitely got your style down pat and it looks good! You did really well. Love the gold monetary totally beautiful. 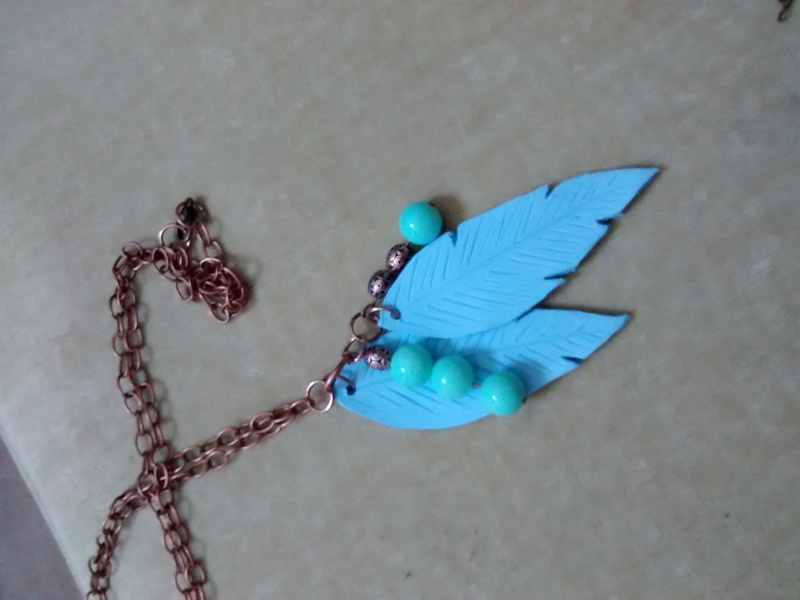 Your me made necklaces are fabulous. The Parisian Top’s neckline sits so prettily on you! And no surprise, aqua and peach lover that I am that the Hello Kitty Hoodie is making my head explode with cartoon hearts. What a good way to wrap up MMM! 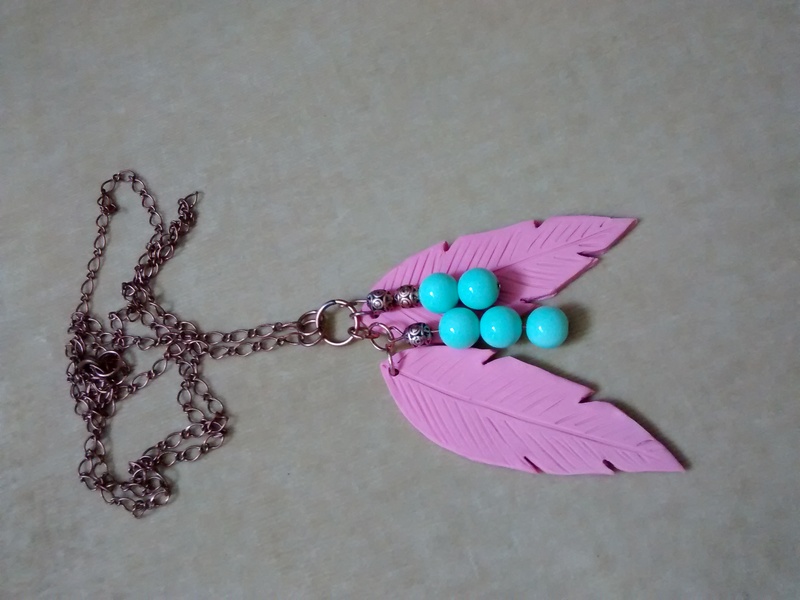 I’m so very in love with your necklaces!! They are so cute! !